Small retailers – it’s time to smile! Yes, a lot of retailers are finding it tough out there. Despite recent reports that new car registrations are higher than ever suggesting that the UK economy is booming, the underlying story is that cheap finance is driving much of consumer behaviour, but that’s only benefitting sales of high-value goods – like cars and kitchens, and white goods and massive TVs too big for most UK living rooms! Down at the lower-cost end of the scale, shoppers are being careful what they spend their disposable income on and that’s affecting many smaller shops. Today we learn that M&S has had a woeful set of Christmas results; even my beloved Waitrose didn’t have such a brilliant Christmas, which was a surprise to me. Doubtless there are lots of reasons for the prevailing sense of doom among many retailers but not being qualified in economics, I’m going to refrain from speculating. What I do know is – there’s a lot we can all do to help ourselves. Part of this is marketing – I’ll come back to that. Do you greet a visitor to your shop (or your stand at a craft fair?!) when they first step inside? Do you offer to help, or ask a friendly question a minute or two after? Do you manage to smile when on duty, and especially when customers are present? When you see a potential customer is in need of help, do you get up off your chair and talk to them? A key part of the appeal small, independent shops have for customers weary of high-street homogeneity is friendly service from people who are willing to help. Product knowledge, genuinely helpful service and a cheery welcome are key differentiators – essential when we small retailers really need to stand out! In our case, as a working studio-gallery with our own and other artists’ work on sale, going the extra mile to help a customer choose, or transport a piece of art, finding out if the artist has ‘something similar in different colours’ or getting something broken fixed efficiently, these are all aspects of service we consider to be the minimum necessary – not extras. Given a chance, most consumers will moan and complain about the service they receive in our chain stores; I hear that and think – then come to our little shop and be treated like a human! And that brings us to marketing. We need to get that point about treating customers as humans across to our future customers, and gently remind our current customers about it too. 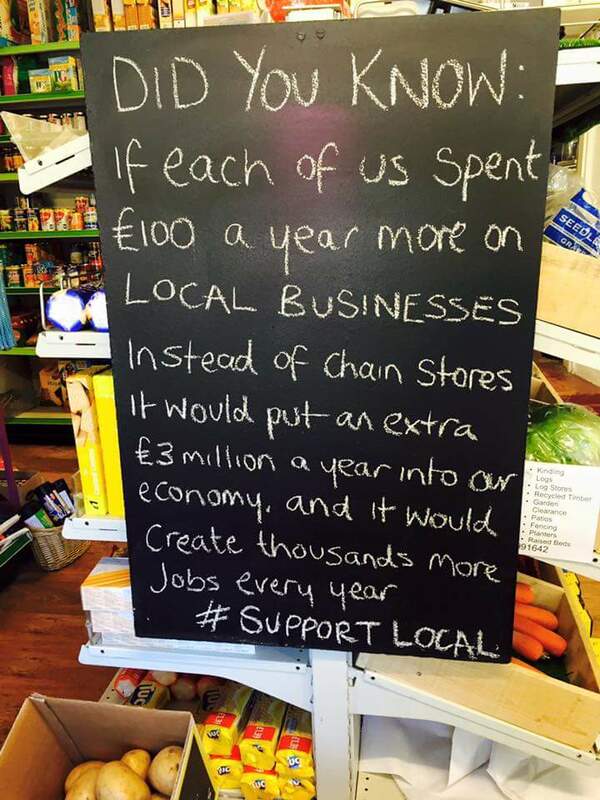 So many small retailers are hoping that customers will find them, and then spend money in their shops. For me, hoping is not a strategy. I do detect an element of ‘I have a shop – people will come in and buy things’ without the ‘I need to make sure people know about my shop’ among some of the small retailers I know. Again, in our case, we advertise locally, we use national and local ‘what’s on’ websites and Facebook pages, we continually develop our email subscription and regularly (about every two weeks) email our list with news, questions, updates on our art courses and much more. We speak at WI and U3A events about our craft, we take part in craft shows and cultural do’s. We host events where visitors can see art being created and even have a go themselves, we get together with our neighbouring retailers to put on open days and outdoor events, we use our own social media pages too of course, but we don’t rely on them, and we do everything we can to encourage word-of-mouth promotion. This is especially important – although we’ve only been in our gallery for a year, we’re increasingly getting visitors who tell us their friend (or relative, partner, neighbour) recommended us. Lovely! But this only happens if we give good service and make our gallery a fun and interesting place to browse. And on top of this, we make sure we always have some work in progress on the bench. We’re a working studio-gallery and it’s proving to be a real winner for us – seeing work being made is a great conversation starter, it allows us to demonstrate our competence. And another blessing – when we’re running classes at our studio visitors see what we’re doing and some of them want to get involved; we almost always take booking for classes when we’re running a class that day! So the take-away from this last point is – activity. What can you do in your own shop to get activity going, get interest going, get customers asking you for more? Demos? Have-a-go sessions? Events and talks, taster days? Special products that the chains don’t or won’t stock? Offering true expertise in your field that the staff in the chains just can’t provide? An interesting, fun, quirky environment far removed from the corporate boxes on retail parks? Yes, that all might sound like a lot of work, perhaps? Maybe a better way of thinking about this is – marketing is a fundamental component of every business; just having a shop and putting things in it isn’t going to cut it any more (if it ever did). It’s tough out there so get on with the marketing, make your offer really distinctive and fun, and remember to smile! I’m still rather surprised that many artists don’t yet have their own websites. This comes up in conversation quite often in our gallery, especially when an artist is presenting their work to us. Often the work is great, but the artist isn’t aware of why they need to promote themselves online. Others have a website but it’s out of date, or a lash-up, or it just looks out of step with the standards of presentation expected these days. Sorry if that sounds harsh, or dismissive, but let’s be completely frank for the avoidance of doubt! I sell on Artfinder so why do I need a website? Or – quite often – ‘I haven’t got a website’. So let’s consider some of the reasons why it’s essential for people like us to have our own websites. And to keep them fresh and up to date! Your future customers are searching for information about art. Some of them are looking for work that’s like yours. Some of them may even be Googling for you, your work, and for ways to buy from you. Let’s make that as simple and rewarding as possible. Whether they already know about you or not, your objective is to make it possible for them to find you! Even plumbers have websites these days; you’re a creative visual person – what you do needs to be seen much more than a plumber’s work! When you have a website you’re proud of, you can use it as the reference point for your newsletters, update emails, social media activity….and so on. Emails and social media posts can link back to pages, or specific pieces on your site, or to your ‘events’ page instead of going nowhere. This is far preferable to sending word docs, PDFs or images as attachments to your database. Nowadays attachments are highly likely to get trapped in your recipients’ spam filters. You can easily produce visually rich emails that do justice to your reputation as a creative person! Services like Mailchimp (which we use for Vitreus Art’s newsletters and I use for newsletters for clients) make managing your circulation list and creating and sending your emails very easy and professional-looking. In our world, once someone has bought from you, they’ll probably buy again. Provided they can find you, and you continue to nurture the relationship! Your website is a great place for showing off your design skills and your artistic ability. It’s where you get to show how your work is the result of years of experience and dedication; you can sell the unique aspects of your work; you can emphasise the hand-made nature of what you do. Use your site to ‘sell’ the value and uniqueness of what you do, helping to distinguish you from the far-off factories that churn out cheap alternatives and the charlatans who cut corners! We know plenty of gallery owners who won’t consider artists and craftspeople who don’t have a website. It’s an indication of the seriousness with which you take your work. It’s a long time since ecommerce was the preserve of established businesses, who paid web developers to have their own bespoke ‘e-commerce engine’. With the advent of PayPal, and simple ‘self administer’ shopping carts, you can have a highly-secure website shopping and payments facility at little cost and minimal hassle. If you elect to use PayPal no special technical know-how is required – just your time and a bit of organisation. Unless you have the time to attend shows or seek trade buyers & galleries further afield, it’s very difficult to achieve recognition and gain sales overseas or even in your own country. There’s a whole world of art buyers and potential artistic partners out there and a decent website brings them all closer to you! And with inexpensive courier services(be careful which ones you choose though – cheapest is usually worst! ), and simple e-commerce systems available, selling to overseas customers is hardly any more difficult than selling to someone in your own town. Perhaps you send out invites to your shows or private views? Being able to highlight these online is the first step. You can then get yourself listed on the many ‘what’s on’ sites, local arts and tourist info sites, and on all sorts of other listings websites, with links back to your site. Experience shows that the people who use these sites often do follow the links to further info – to get times, dates, venue details, maps and an idea of what’s on offer. If you send out press releases, being able to point editors and journalists towards more information increases the chance your release will get used. A further thought – if you publicise your shows (of course you do!) – people who can’t attend but want to know more can see some of what they’ve missed on your site. It’s like having a permanent exhibition, open to all! As an artist selling your work (and yourself) online do you have a cyber-home, or are you in the equivalent of a squat in a friend’s house? After you spend (probably) too much time ‘interacting’ with people you don’t really know on Twitter and Facebook do you have a home for your work to direct people to visit? Where they can see a good selection of your best work? Where they can judge your skills and get a feel for you as an artist? It seems that you can’t go anywhere on the internet without bumping in to a gallery website or craft sales site promising to sell your work. There must be tens of thousands of these sites now, with more being created every day. All make essentially the same promise – to sell your work in return for a commission and a little of your time to upload your images. You wouldn’t only exhibit at one physical gallery or sell at just one craft show. It’s effectively outsourcing the selling aspect of your job, right? It’s also abdicating control of your online presence – your artist’s brand. When you upload art to a gallery site, you upload your control too. You need your own online space with your name on it! This is a fundamental point – if your work is only seen on other people’s sites, they have the control over what you can show and how you sell it. This isn’t just vanity – it’s about retaining control over your brand, determining the presentation of your work, and getting your own message out about why you do what you do. This is your virtual identity and that’s too valuable to just hand over to a website owner or social media site. The naked truth is – when you put your work on other people’s sites, it becomes their work. They’ll sell it for you (according to their terms). They may show it, they may reject it. They may show it alongside work from other artists, and ultimately you’re one of many other artists on the same site – all jostling for attention. This is why it’s important that artists have their own online presence that they have control over. This is not to say you shouldn’t use other art sales sites, but you definitely should have your own site – and use it to promote your own work and your own artistic practice. And another important point – make sure you own your domain (like www.vitreus-art.co.uk) and arrange for your website to be hosted on that domain. Again, it’s about control. If you opt for a ‘free’ or low-cost package that gives you a domain like www.mikesart.greathosting.net that domain actually ‘belongs’ to someone else. They get the benefit of the search engine traffic, while you get to look unprofessional and lose control over what happens with that domain. Happily, when you have your own online space, you’ll have the ability to develop it as you develop as an artist. You’ll have to pay upfront to purchase your domain and find a decent hosting company, but the long-term benefits for your artistic brand will hugely outweigh the cost. Use all the outlets you can – always be selling! At the risk of seeming contradictory, the argument for having your own website is not undermined by the availability of other selling sites. Use those other sites, enjoy, choose wisely and make sure you manage what’s on sale where, and for how much. But don’t let any success you enjoy on those sites be an excuse for not having your own home on the internet. It’s not an either-or! So there you have it – take control of how you’re found, presented and sold on the internet by managing your own website. Especially if you’re serious about your art! P.S. for a bit of fun, head over to http://www.artybollocks.com/ to create your own highly pretentious and totally made-up artist’s statement. It’s a bit naughty and somewhat irreverent! So you want to get your art in to a gallery? So you want to sell your work in a gallery? As Jenny and I approach our anniversary of running a gallery, and having been submitting and selling work through galleries for more than 10 years we have some experience of both angles. Just how does an artist get their work shown in a gallery, and what can an artist do to help promote their work? Are you ready to sell through galleries? Before even thinking about which galleries to approach, it’s time to think about what stage of your artistic career you’ve reached. Do you have an identity as an artist, does your work have a style of its own? Do you have a body of work that the potential buyer would recognise as the work of one artist? It seems harsh to say this but…. if your work looks like a random collection in different styles and media when shown on the same wall, then perhaps it’s not ready to be sent to a gallery. Do you have a website (with a proper domain, not www.angelcakes21.wix.com), up to date with your latest work and great photos? Proper business cards?! Next – do your research. 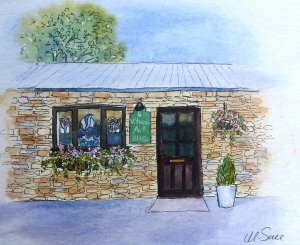 Find galleries that have work at a similar price point or feel or subject as yours – don’t expect a fine art gallery to take watercolours of local scenes, or prints. And high-end work isn’t likely to be suitable for a gallery that majors on affordable art. Visit galleries, figure out which look to be a good match, and pay attention to their stock and artist selection. We see this as two related but different subjects – getting your work ready to be shown (and sold) and getting your work in to a gallery. Firstly – it’s an old cliché but it’s true – the frame (at least partly) sells your work; a good frame, sympathetic to the art, well made and stylish, will significantly enhance the saleability of your work. The converse – a frame that doesn’t fit the shape, size and colour of the work, or one that is cheaply or poorly made – cheapens the work, and reduces its wall appeal. We often see work shown to us in a varying range of frame styles.To the gallery owner this says – doesn’t care about the work sufficiently, doesn’t imagine it being bought and hung in a customer’s home, isn’t serious about selling their work. I’m sure that’s not you, is it? Take a look at art by known artists in local galleries. Now compare the standard of framing with yours. Be honest with yourself! And where you’re offering mounted work without frames – how is the quality of the mount? And does the cellophane wrapper look neat? Have you included a card or some info about you in the wrapper? Un-framed or un-mounted prints are meant to be lower in price than originals, but not cheap-looking! And what about photos? Great photos really help sell art – on your website, on artfinder, when pitching to galleries or submitting work to exhibitions. A photo of a framed and glazed piece with poor lighting, reflections, keystone distortion or a distracting background will do the opposite! Even established artists sometimes forget to take photos before they send off their work to be framed but new artists can’t afford to make this mistake. In our gallery we rarely accept work from artists who can’t supply good photos. Once a piece has been framed it’s very hard to get a decent pic to use on websites, social media and promotions. And as for getting your work considered by a gallery…. Most days in our gallery an artist will call in with work they want to show us. And almost every time, we’re busy with customers, or working on a piece of our own on the workbench, or up a ladder, re-hanging…. The chances are, if you call at a gallery without an appointment the gallery owner won’t be able to take the time to talk to you and look at your work. 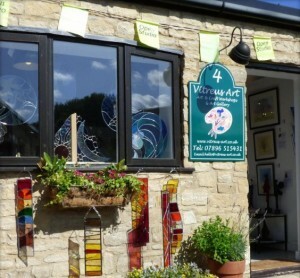 A much better approach is to call or email and ask how the gallery likes to be approached. At least you then know how best to get an audience! Most galleries will ask you to send a few photos and a link to your website. The photos you send may well be the determining factor so we suggest do as you’re asked, and send good piccys! If the gallery owner likes what you send you’ll hear from them – galleries are often looking for new work of sellable quality so make sure your photos do justice to your work. Remember – the gallery only makes money on art that appeals to customers enough to get them to part with money; work that is unlikely to sell isn’t going to be accepted! A response that is guaranteed to fail is – ‘my work can’t be photographed / has to be seen in person / I’m worried my images will be copied’. Really? If you’re invited to call in with examples, make sure your work is ready to sell – framed, mounted, wrapped, clean, un-marked and your best current work. Work that is old, marked, damaged or just lack-lustre may well shut that opportunity down before you’ve got started. Here’s a thorny one a lot of artists get wrong – offering the same work for sale in a gallery and on their website at different prices. Don’t do this please! Decide on a price that leaves room for the commission the gallery charges, and make sure that price is THE price – wherever else that piece is pictured. And if someone contacts you and asks if you can offer a reduction by trading directly, we suggest you politely decline and direct the customer back to the gallery. You may get a sale this way, but you’ll damage the relationship you have with the gallery for the long term. It’s important to be clear about prices – low priced work generates such a low commission any respectable gallery is likely to turn the work down – it generates too little income for the wall space occupied. Most galleries charge 40-50% commission on sales – make sure your wall price (the price the piece will be sold at) allows enough for that commission and for you to make what your work deserves. If the gallery puts someone in touch with you to commission a bespoke piece, paying the gallery a finders-fee will keep that relationship sweet. We don’t charge a ‘contact’ commission in these circumstances, but many galleries do. And while we’re on the subject of commission, let’s deal with that question we’ve all heard – what does a gallery do for its 40 (or 50)%? We encourage you to also consider your approach to being an artist. Have you registered as self-employed, for example? Even if you have a ‘normal’ job being registered as self-employed means you’ll be keeping on top of taxes, expenses and your business admin. Have you run your own shows or open studios, or done some local press work? Is your work well-presented and ready to sell? Do you understand your market, and work to reflect the tastes of that market? Are you organised with stock lists and prices? Do you turn up to appointments or exhibitions or promotional events on time and do what you can to promote yourself AND the gallery you’re working with? That last point above prompts me to delve a little more in to this subject in another post. For now, ask yourself – am I doing a good job of promoting myself? These days a personal, up-to-date business website is the minimum required. An active presence on social media promoting your work and your gallery partners is expected too these days. Do you email your contact list when you create new work, or get work accepted by a new gallery? Do you look for ways to mention your work and the galleries where it can be seen? It’s certainly not enough to get work accepted by a gallery and then forget about it. The more you do to expand your audience, to engage with new customers and to direct art lovers to your galleries the better your sales will be, and the faster your reputation as an artist to be followed will grow! Galleries have finite wall space – artists that actively work to boost sales will get more of that wall space, and will be invited to share in joint promotions, events, private views, and all sorts of other ways to grow sales and reputation. Don’t miss out! I hope this is useful to you; good luck and happy selling!